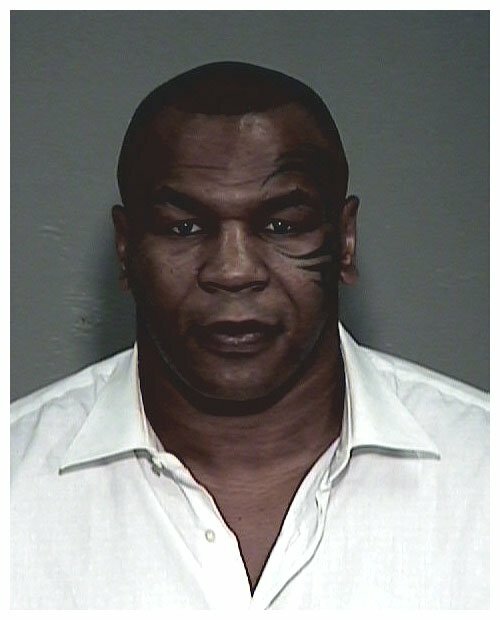 Mike Tyson posed for Arizona sheriff's deputies in November 2007 after reporting to a Maricopa County lockup to serve a day in jail. The former boxing champ, 41, had pleaded guilty to felony cocaine possession and a misdemeanor drunk driving count following a December 2006 arrest. In addition to a brief jail stay, Tyson was sentenced to three years probation, ordered to perform 360 hours of community service, and directed to undergo drug testing. Submitted by GeorgeDubyaBush on Sun, 2011-05-22 16:43.